In a competitive job market, an attractive and comprehensive resume can make all the difference between getting your foot in the door for an interview or getting shut out. In the not-so-distant past, creating a resume usually meant having to get on your computer and firing up something akin to Microsoft Word. This is no longer the case. Why? Because, as with many other important tasks nowadays, there's an app for that. Actually, there are several apps that can help you create a resume and we've listed some of the best below. Many templates include the jobseeker's photo; may be a risky choice for risk-averse H.R. teams. A highly customizable app with over one million active users across multiple platforms, VisualCV Resume Builder provides several starting points including one of ten templates from popular fields ranging from tech support to nursing. It also allows you to import and modify an existing resume or CV in either Word or PDF format from Dropbox or another supported repository. You can also start from scratch, choosing either the Basic or Visual Editor. With Basic, you enter category-specific information such as work experience and education and VisualCV populates your chosen template accordingly. When working with the Visual Editor, you populate each individual section on-the-fly within the actual template. Colors, font sizes, and margins are easily modifiable. Whichever editor you choose, the preview feature allows you to see exactly how your in-progress and completed version will look once shared. The app can also be integrated with your LinkedIn profile, importing existing resume information with just a couple of finger taps or mouse clicks. Once you're satisfied with the final product, VisualCV Resume Builder lets you quickly share it in PDF format by simply pushing a couple of buttons. As if that weren't enough, you can create a custom URL (visualcv.com/yourname) where your resume will reside. This free web page can be made public and indexable by search engines, or private where only people who know your direct address will be able to see it. Included is a stats dashboard that details how many views and downloads your shared resume has, with the ability to track metrics for up to six resumes or CVs for no charge whatsoever. A professional version is available for $12 per month with a 3-month minimum commitment which includes a personal domain name, advanced statistics, no company branding, additional templates, and the ability to export in multiple file formats. The company offers a 30-day money back guarantee on VisualCV Pro. Example resumes and cover letter option. Rather than struggle with fitting your employment and education history along with other relevant details into a template, Resume Star provides an easy-to-use interface that prompts you for this information, broken down into categories, at the start. You can view your updated resume at any point during the process, offering a clear picture of how your entries will look in the final version. Although the app has not been updated in several years, it has stood the test of time. While the resume formatting is limited to just one typeset template, there are several samples included from various lines of work in case you need some inspiration regarding verbiage. Integrated with a job search engine through qrayon.com, Resume Star allows you to continue your hunt for employment within the app itself by entering a job title and location. Your resume is created in PDF format and can be emailed or shared with third-party services in the iOS app or downloaded to your local hard drive in the browser-based version. You can also write customized cover letters tailored towards as many companies as you wish. Resume Star's developers rely on the honor system in lieu of charging a fee up front. While you are permitted to create and send as many resumes as you wish for free, they request that you submit payment if your newly created resume helps land an interview or gainful employment. The suggested fee, which is completely optional, varies based on the platform you're using (iOS vs. web) as well as your new hourly salary if you've actually gotten a job as a result of using the app. One of the more polished apps to make the list, Resume Maker offers ten clean-looking variations of a resume template and provides a streamlined interface which prompts you to enter your relevant information by category. Only available for iPad, iPhone and iPod touch users, it utilizes iOS 3D Touch functionality for fast and easy navigation and also allows you to quickly add a photo of yourself from your device's library or directly from the camera itself. The app lets you customize a cover letter adorned with your own handwritten signature and includes it with your completed resume by just the push of a button. Integrated with Apple Mail, Dropbox, Evernote, Box, Google Drive and more, Resume Maker typically costs $4.99 but is occasionally on sale for $2.99 in the App Store. Resume Builder's creator interface comes with the standard sections such as objective and work experience but also allows you to add custom sections. The app offers nine different templates, but only the classic option is available for free. It will cost you $2.99 to unlock the other eight as well as activate the ability to create a targeted cover letter to accompany your resume. This fee also removes all advertisements, which tend to be annoying as you step through the creation process since you're required to view video clips and full-screen images quite often. Resume Builder includes three different fonts (Arial, Calibri, Georgia) and lets you expand or decrease both the horizontal and vertical margins via sliding toolbars. Once complete, the app composes an email with your PDF-formatted resume attached in Apple's default Mail client. Not very user-friendly and limits customizations. Exclusive to Android, My Resume Builder has amassed quite a user base with over a million downloads due in part to its ease of use and the fact that it's available for free. This oft-updated app lets you choose from ten unique templates, which you can store multiple variations of for different prospective employers. It is ad-driven, which is to be expected based on the price tag, but they are non-intrusive for the most part. My Resume Builder does present some minor inconveniences, such as requiring certain categories that you may not want to include, but in the end,​ you are left with a professional looking PDF file to distribute wherever you choose. The app supports the ability to include your custom signature and photo, adding a more personal touch to your completed documents. Apple's free word processor app for iPad and iPhone, Pages is unsurprisingly adept at resume creation. With six predefined templates that are somewhat customizable, Pages lets you send your completed resume in a number of different formats including PDF, Word, RTF, and ePub. Part of the iWork suite, the app also lets you collaborate with other users on your document, making it easy to get feedback and assistance from friends and colleagues while finalizing your resume for distribution. If you aren't satisfied with the default templates, there are paid apps available from third-party developers that offer dozens more. One such offering is Templates for Pages, which carries a lofty price tag of $24.99 but contains almost 3,000 different templates for all document types including resumes. The CV Writer app, known as Resume Expert in the Google Play store, includes 16 different resume templates and a built-in spellcheck feature. It also allows you to choose from dozens of different fonts, unlike many of its competitors. CV Writer provides the ability to create a cover letter and offers useful interview tips as well as suggestions on resume content. 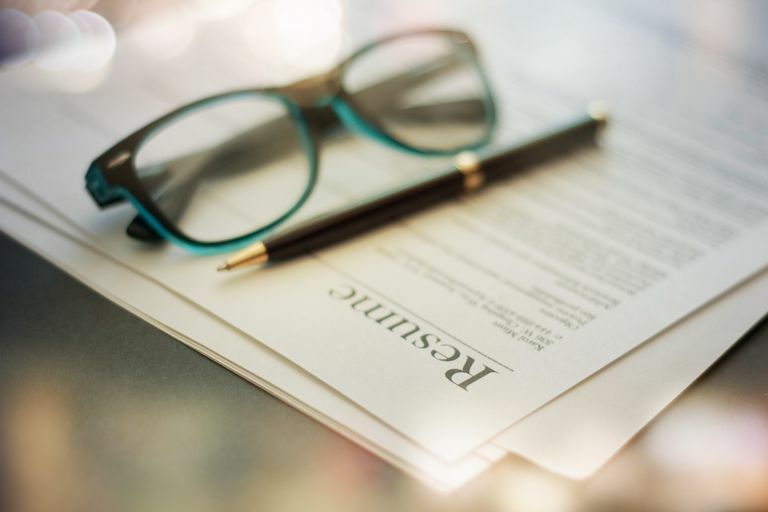 A major downside lies in its pricing structure, as it appears to be free initially but once you proceed with creating your resume you'll soon learn that is not the case. You can install the app and construct your resume without spending a dime but once you try to email the completed version or send it to DropBox, iCloud, Google Drive, or OneDrive you are then asked to pay $4.99 to continue. This price might be considered relatively steep, especially when comparing it to some of the other options on this list. Unless you are partial to one of the template formats or the app's interface and specific integration options, CV Writer may not be worth the purchase. The bright side is that you can access all of its features up until the point where you attempt to share your resume without handing over any money, so taking a test drive is a viable option. Not made for resume creation. In addition to the options listed above, Microsoft and Google both offer free browser-based web solutions as well as apps native to both Android and iOS platforms that can also come in handy when crafting a resume or cover letter. While neither offers much in the way of an interface tailored specifically towards this purpose, Word Online, as well as the Microsoft Word App found in Google Play or the App Store, provide multiple variations of resume templates that can be edited in a free-form manner. There may be some notable limitations with the Word mobile apps, depending on your device type. The same concept applies to Google Docs, a collaborative word processor with accessible resume templates available through the browser as well as its Android and iOS apps.